The carefully selected Australian produce presents a delicious array of fresh local and international dishes at Terraces Restaurant. 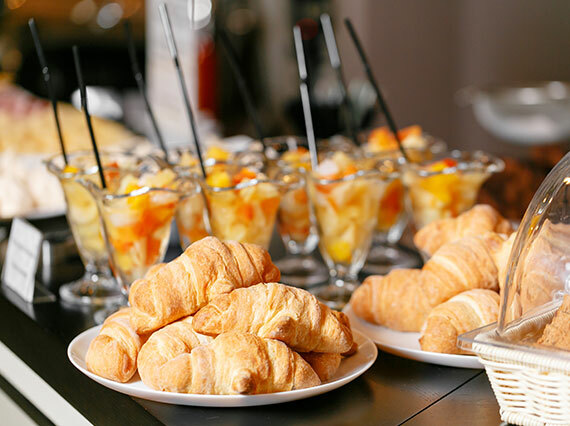 Fresh seafood including oysters and prawns; freshly baked bread and pastries; comforting roasts and a delectable range of desserts are just some of the options on display at the buffet. Renowned on the Gold Coast as being the buffet of choice, connect with your friends and family at Sheraton Grand Mirage Resort, Gold Coast's Terraces Restaurant. Alternatively to our Buffet, enjoy a range of items from our À La Carte Menu. Enjoy a range of dishes such as our "Bang Bang" Chicken Salad, the Poke Bowl, or the sumptuous Snickers Cheesecake make with Kingaroy peanut brittle. For groups over 9 people, see below. For groups over 9 people, please see our special menu and for groups over 15 people, please contact Terraces Restaurant directly to confirm your booking.